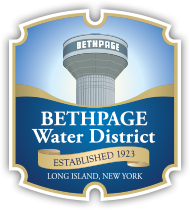 Please provide your contact information to receive periodic emails and communications from Bethpage Water District. If you are a District customer, please provide your account number, if available. By submitting this form, I agree to receive updates from Bethpage Water District at the provided email address.